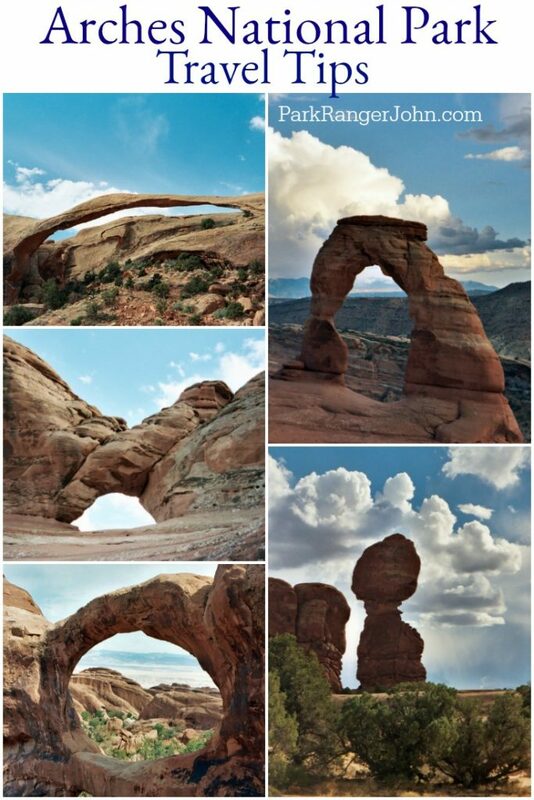 Arches National Park is one of the most popular National Parks in the United States! This is a park that takes your breath away and is truly awe-inspiring. With the park being so popular we wanted to share these Arches National Park Travel Tips to help you enjoy the park as much as possible. This is a park that can get crowded quickly and you will want to be prepared for it. Getting the park at sunrise is one of the best ways to get in and see things before the huge crowds arrive. Even if the park is crowded it is still amazing and so worth it. How much does it cost to visit Arches National Park? Airport near Arches National Park? Be prepared for crowds and lines to get into the park! Be prepared for no cell service in the park. 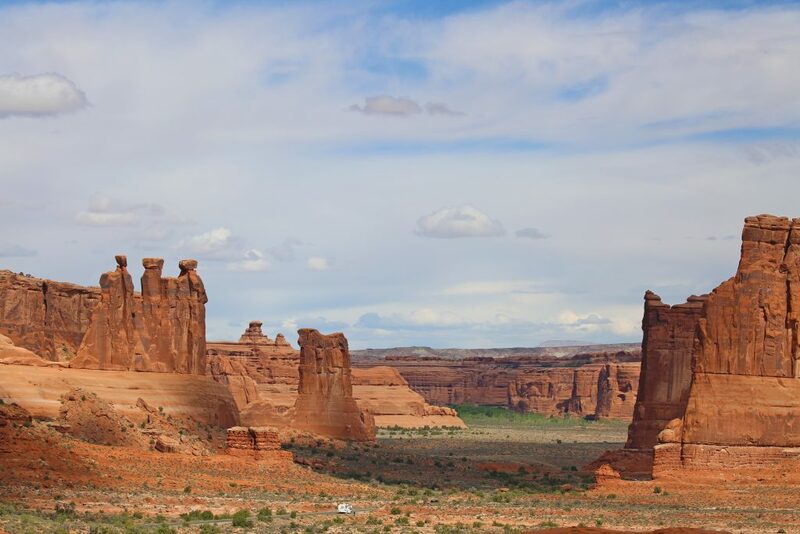 Plan ahead so you can fit in as many of these things to do in Arches National Park as possible. Check the weather often! If you see lightning head back to your car ASAP! Don’t miss out on these epic Arches National Park Hikes! They are some of the best in all of our national parks. $55 Southeast Utah Parks annual pass, this pass works in Arches and Canyonlands national parks, and Natural Bridges National Monument. How do I get to Arches National Park? Arches NP is located five miles from Moab, Utah. How far is Arches National Park from Salt Lake City? It is approximately 235 miles from Salt Lake City to reach Arches National Park. Plan for at least three hours and fifty minutes to reach the park entrance. 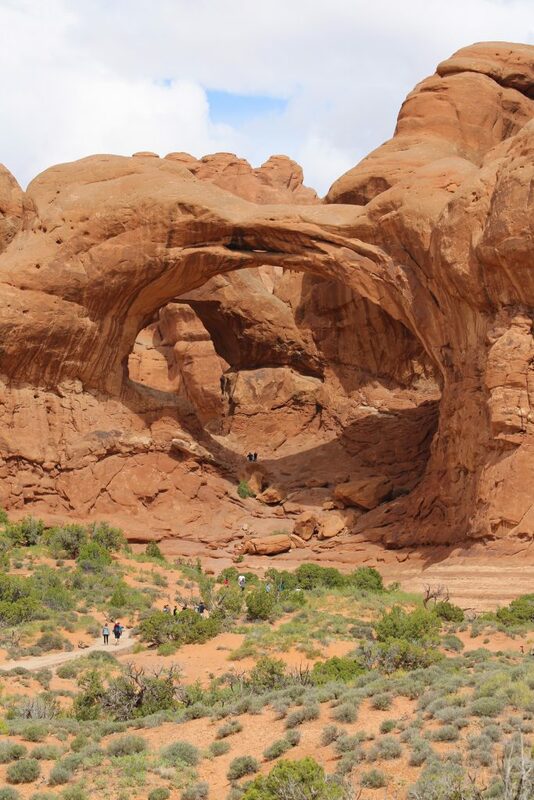 Where are the Arches National Park Visitor Centers? The Arches National Park Visitor Center is located right after the main entrance to the park. There is a large parking lot near the visitor center. The visitor center is open daily from 9 am to 4 pm. Where can I find out about staying/camping in Arches National Park? 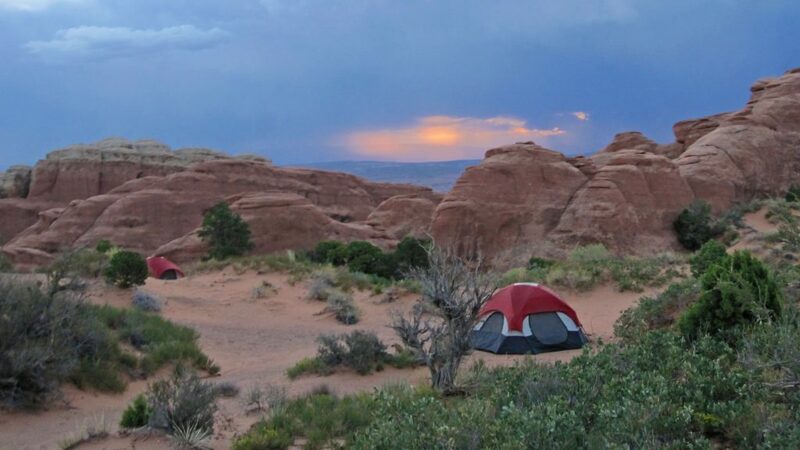 We have a post on Arches National Park Camping with what you need to know to plan a great camping trip! Is there a Junior Ranger Program at Arches National Park? There is a junior ranger program that can be picked up at the visitor center. 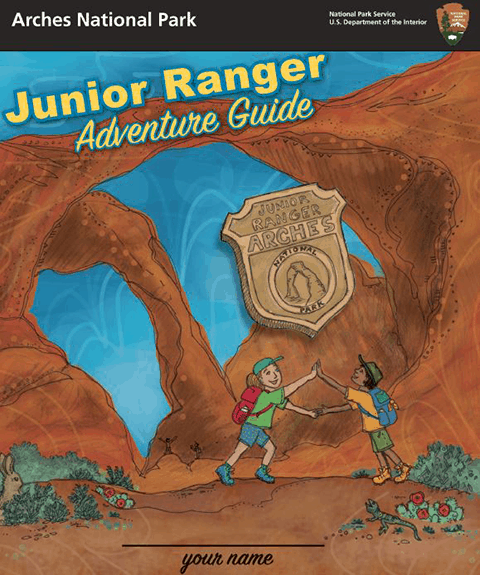 You can print the Arches Junior Ranger booklet ahead of your trip if you want to work on it before arriving at the park. Families can also check out explorer backpacks with great activities for exploring the park. Can I bring my Dog/Pet with me to Arches National Park? You can bring your dog with you to Arches but the number of activities they can do with you is limited. Pets need to be on leashes at all times. Pets are not allowed on trails, overlooks or inside the visitor center.